We are expert in all kinds of Turnkey Interior like space planning, electrical work, HVAC, UPS & DG, networking services, Furniture, Civil, and Interior. 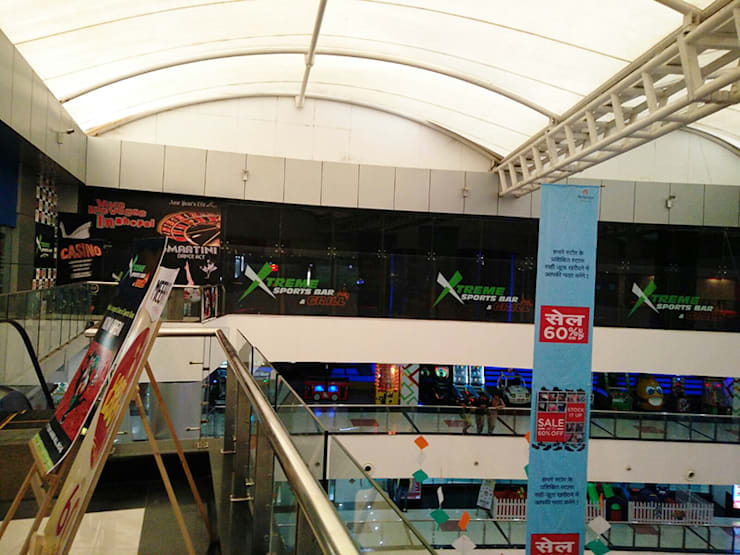 This was a Large format Sport Bar Spread over 8500 Sft housed in a Mall in Bhopal. This was also for the same franchise of Hyderabad which was in to various beverages brands. While the company had a few sports bar done before we associated with them, we had more or less tried to create a brand image thru this outlet at Bhopal, by creating unique design and build for the same.